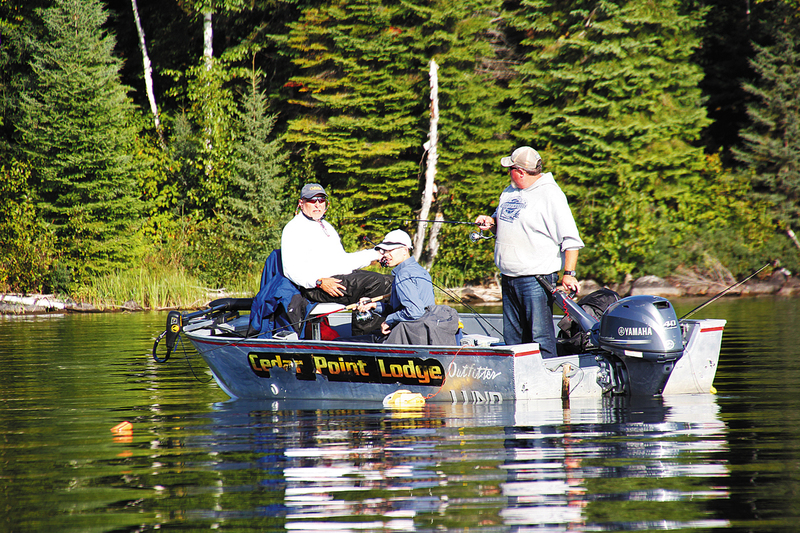 One of Ontario’s most popular and well-known fishing destinations is Eagle Lake, located approximately 120 miles north of the Minnesota border and between the towns of Kenora and Dryden. 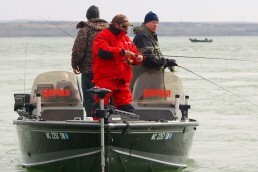 A drive-to destination, it features the province’s top gamefish and a legitimate chance at some true lunkers. 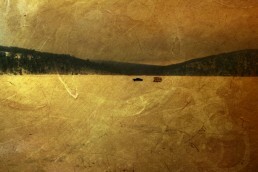 Eagle Lake is one of Ontario’s larger lakes at more than 68,000 acres. Unlike many locations that feature just walleyes and northern pike, this fishery also offers smallmouth bass, lake trout, and muskies. Eagle Lake is over 70 miles long, and features more than 400 islands. 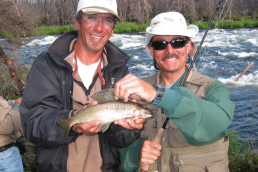 Numerous shoreline resorts here cater to anglers and fishing families with a wide variety of amenities to help them get the most from their Canadian fishing vacation. I’ve known the owners of Cedar Point Lodge, Pat and Sharon Hron, for more than 20 years since I first connected with them at a sports show. 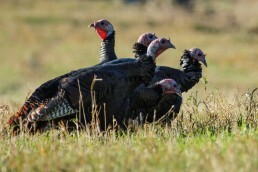 They are as personable and friendly as any lodge owners you’ll ever meet. Cedar Point Lodge has been in the Hron family for over 40 years. Pat and Sharon took it over from Pat’s father more than 30 years ago. Now, son Ryan and daughter Janelle pitch in to keep the family business running smoothly. 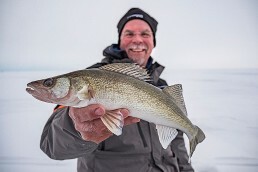 The top gamefish attraction here are Eagle Lake’s walleyes, and most anglers arrive focused on catching numbers of fish and can hope for one of the trophy ’eyes available here. 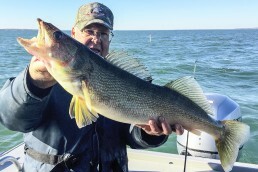 From the late May walleye opener through midsummer, anglers catch walleyes in shallow water by casting 1/16- or 1/8-ounce jigs tipped with live bait or soft plastics. Some anglers prefer to slow-troll spinner rigs tipped with nightcrawlers or minnows along these shoreline hotspots. Shallow-running crankbaits cast or trolled along these same shorelines also produce. When cooler water temperatures dominate in the early part of the season, anglers hook large northern pike utilizing these same tactics. 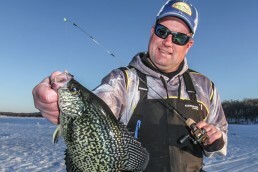 With more miles of rocky shoreline on Eagle Lake than you could ever hope to fish, focusing your efforts on windswept points and shorelines can increase your catch rate. 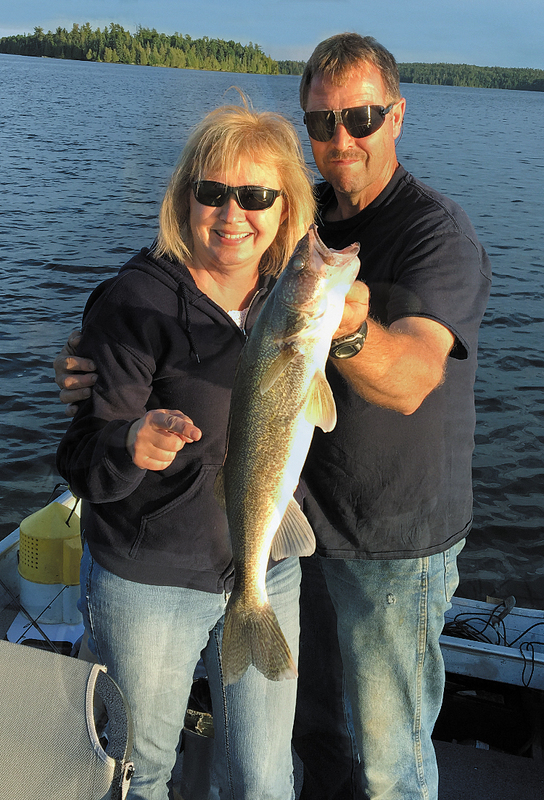 The Hron’s happily point out hotspots on maps to help guests zero in on the best walleye fishing. As the lake warms, walleyes transition to the numerous reefs that dot the lake’s basin. Whereas anglers catch most spring walleyes shallower than 10 feet, the most productive depths on the reefs range from 15 to 40 feet. Boat control is a factor. 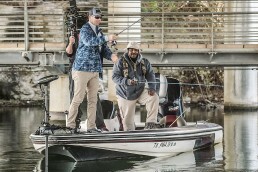 Use either a bowmount trolling motor or backtroll with a tiller motor and hover over the tops and along the edges of the reefs. Slip-sinker rigs with large minnows, nightcrawlers and leeches work well. Or vertically jig with live bait or plastics. While a 1/4-ounce jig might work on flat calm days, usually you need to upsize to 3/8- or 1/2-ounce jigs to maintain bottom contact. While walleye fishing on Eagle Lake’s reefs, you might see a huge northern pike attack a small walleye as you reel it in. 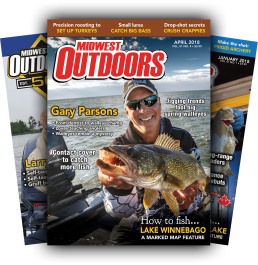 If the pike is particularly hungry and aggressive, you might reel the unfortunate walleye all the way to the boat while it’s in those toothy jaws, and scoop both species with your landing net. 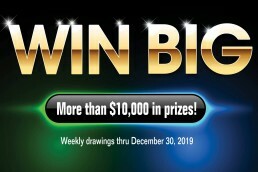 Talk about a nice double-header! 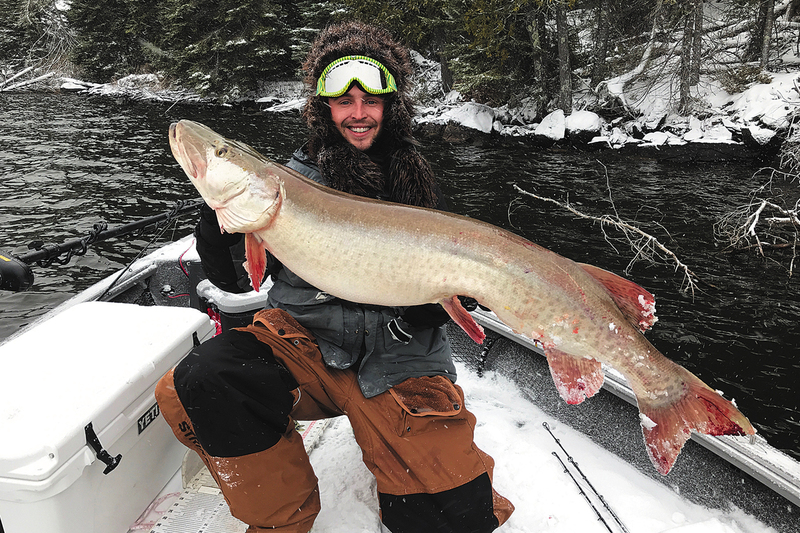 The chance to catch toothy critters on Eagle Lake does not end there. 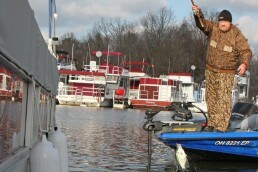 You can catch northern pike by targeting them with casting or trolling tactics. Choose large-profile crankbaits, No. 5, 6 or 7 bucktails, or popular pike spoons to trigger strikes from this voracious species. 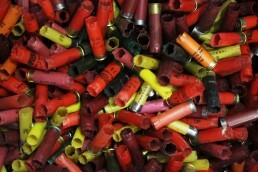 Colors range from perch patterns to cisco patterns (white, smoke and gray). Colors that suggest smallmouth bass such as gold, brown, and bronze work, too. Muskie anglers often hook big northern pike while targeting the lake’s muskellunge population, too. 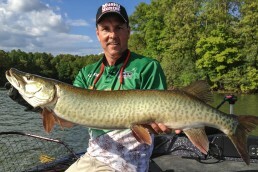 This fishery remains a top choice for muskie anglers. Annually, anglers catch and release some of Ontario’s biggest muskies here. The fall season typically is the most productive; the months of August, September, and October are absolute primetime for giants. What’s more, Cedar Point Lodge offers 10- to 15-percent fall discounts after mid-August making this destination perfect for anglers on a budget seeking to catch big fish. Lake trout offer a tremendous fight and the perceived difficulty in catching them makes them the least-targeted species on Eagle Lake. Lakers inhabit the deep, clear west arm of the lake, habitat that differs from the shallower, stained waters of the lake’s east arm. During the early part of the season, anglers catch lake trout shallow by trolling or casting inline spinners and crankbaits. In the hot months, lake trout live deep and anglers catch them by jigging heavy jigs and spoons (especially in white and grey colors) or by trolling spoons over the deep water basin. In fall, lake trout again move to shallow, rocky shorelines and tapering underwater points to spawn. As with muskies, the fall season offers the best action for lake trout and the chance to catch the biggest specimens of the year. Smallmouth bass fishing in Ontario is second to none. This prized, hard-fighting gamefish is common throughout Eagle Lake and can offer the fastest action and most consistently exciting fishing of any of the lake’s species. 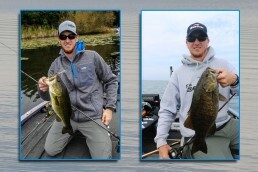 As water temperatures rise into the low 50s, smallmouths invade the shallows seeking prime spawning habitat. Pea gravel and small boulders are where these fish build nests. 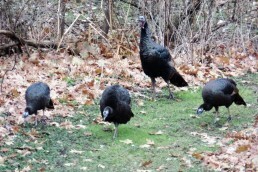 Males choose a suitable spot and fan the sand away from the gravel with their tails. Females choose the best nest and deposit their eggs in the gravel, where they settle to warm in the sun. After the fry hatches, males guard them sometimes for as long as two weeks. 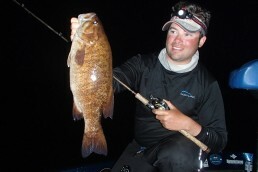 Catch-and-release is strongly emphasized for smallmouth bass in all seasons. 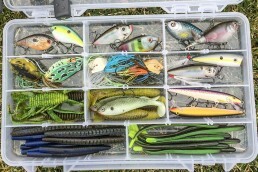 Until early or mid-July, bass remain shallow and are susceptible to a wide variety of presentations such as finesse plastics, jerkbaits, inline spinners, small diving crankbaits, and topwater lures. 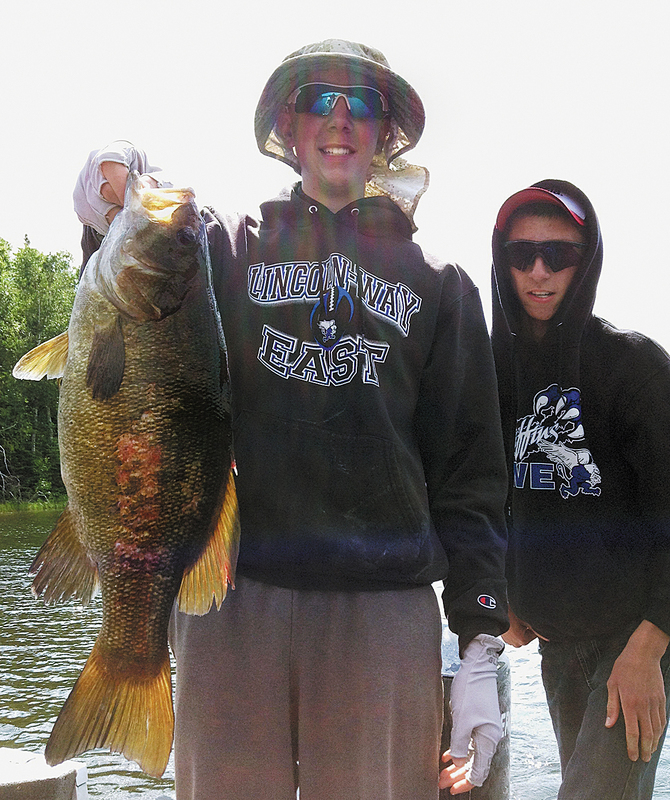 By late summer, most Eagle Lake smallmouths have gravitated to deeper water. They set up in 15 to 35 feet along deeper shoreline breaks, tapering underwater points and rocky reefs in the main lake basin. Almost always, hard-bottom rocky areas with crayfish and minnows are a habitat requirement for these summer and fall bass. 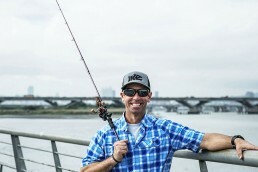 Fishing vertically with jigs and plastics is a top tactic for catching these deeper fish. 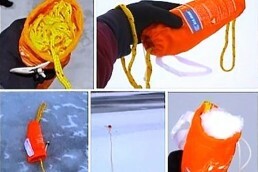 Finesse presentations such as drop-shot rigs work too. Walleye anglers fishing with live bait around submerged humps and reefs often hook smallmouths, especially from late summer through fall. 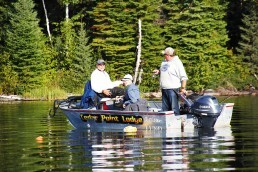 Cedar Point Lodge is situated on a large shoreline point, elevated on a hill facing south and west over Eagle Lake. Three styles of accommodations are available, from rustic to modern cabins to deluxe chalets featuring the finest amenities. All accommodations feature full kitchens including all cookware and utensils, as well as gas grills and outdoor decks overlooking the water. At the water’s edge, Cedar Point Marina features a protected harbor and excellent docking facilities, offering all marina services such as gas, ice, bait, and shore power for charging batteries. Float your own boat at the marina’s concrete launch, or take advantage of boat rental packages or fully guided fishing packages. Courteous and professional dock attendants staff Cedar Point Marina to assist you throughout the day. If you’re looking for a multi-species adventure in Canada this year, consider Ontario’s Eagle Lake. 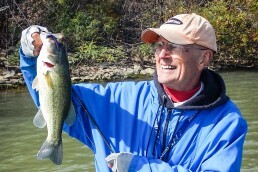 The lake delivers consistent, great fishing from May through October.